View More In Laptops - Page 2. Accidental damage (drops and spills) and power surge coverage begin day 1. Parts and labor coverage for mechanical and electrical failures begins after your product's warranty expires. Plan Terms and Conditions sent via email within hours of completing your purchase, please look for an email from "Amazon Support" If you do not receive. Provides nationwide repair support as per the Terms and Conditions. If your product can't be repaired, an Amazon Gift Card will be provided. Includes free shipping for covered claims, no hidden fees, easy online or over the phone claim process, cancel at any time. See Product Description for details including limitations and what is not covered. 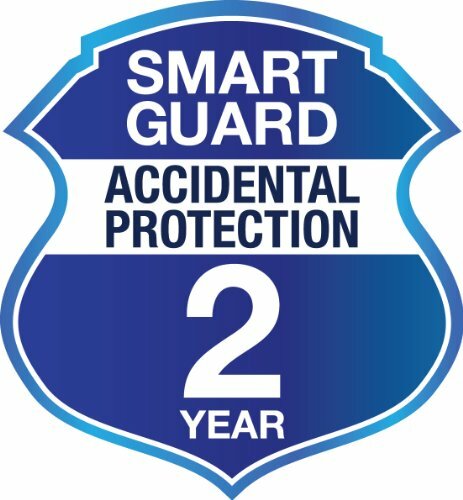 If you have any questions about this product by SmartGuard, contact us by completing and submitting the form below. If you are looking for a specif part number, please include it with your message.